I wanted to show my newest walleye accomplishment. I was definitely excited when I pulled this one in. Call me a hayseed, this was caught on a 3-4" GSF, under a bobber and a #4 longshank cricket hook. Give a man a fish, and he will eat for a day. Teach a man to fish and he will sit in a boat and drink beer. Congrats on the fish Hayseed, I guess it proves that a person needs to match the bait to what the fish are used to eating. When did you stock the Walleye and at what size? James - congratulations. Very glad to see that walleye will survive in a Missouri pond. Thanks for trying these fish and reporting your results. Keep us advised to their progress. Had the walleye been in the pond about 3 yrs? We should have walleye relative weight charts around here somewhere if you want to see how they are doing. In my fairly deep Ohio 1.25 ac farm pond, I stocked 25 walleye that were 6"-8" long and that was 2 years ago. They are now >21" long. The neat thing is that 2 weeks ago I caught a 10" walleye, which means they have successfully spawned and survived (for now). Caught two of them through the 12" ice layer this past Feb. and they were >19" and tasted unbelievable. Keep us updated on your success - thanks. A 6" male walleye could easily only be 10" long after two years in a pond. Not necessarily a spawn with fingerling survival. The larger ones are likely females. Some individual walleye do not grow very fast in a pond. Now if you see some 6"-7" long they are recruiting new walleye. Thanks guys! The first stocking went in the fall of 2011. The spring of 2012, had a fish kill, suspected agricultural related. Lots of floaters. Then in the fall of 2012, I added 400 more, at 6-8". Last fall, Dave Willis confirmed year one Walleye at 13 1/4 inches. What type of pond do you need to raise walleye? Brand new pond was stocked 2 years ago with 25 walleye that were 6-8" long. To date, they are now >21". This past February they were >19" because I caught and ate 2 of them. This initial stocking have successfully spawned because I recently caught a 10" walleye. With the size of the initial stocking being >19"-21" long, the 10" had to be a fry from the initial stocking. I don't understand what you mean 'recruiting' new walleye? The pond is spring fed only. Recruiting means reproducing and surviving predation long enough to be an "adult". Have you stocked anymore other than the original 25 two years ago? @ JeffCalvin, Hey that is definitely some impressive growth! I will let Bill Cody answer for himself, but until then I will try to clarify what he is saying. He speaks from a scientific/proof/theory mindset. Bill is not telling you that your walleye did not spawn, or trying to be argumentative. just for the sake of doing so. What I think Bill is trying to convey, from a fisheries biologists' standpoint, is that you cannot be 100% sure that your walleye have spawned until you see evidence of fish that are smaller than your original stockers. The growth rates of fish, from a given body of water, can be all over the place, think of a bell curve. Some fish from a given group, may do poorly, while the majority may all grow at the same rate. Then you may have some, that excel in growth, often referred here as "shooters". Some fish may eat enough to survive for an extended period, but something is lacking, and they just never grow very well. I hope I make sense! We all love pictures here! Feel free to share if you have the opportunity. Yep, Bill's a card carrying egghead. My comments I thought were pretty clear. All stocker fish do not grow at the same rate. For the 25 walleye stocked at 6"-8" long after two years, some will be only 10" long and some will be 21 inches long. Males growing the slowest and females growing the fastest. Truth be known of the stocker walleyes the 6" ones were mostly males and the largest ones were the females; a common occurrence with numerous fish species esp walleye, perch, and bass. From what I've experienced with stocker walleye that are sold as 6" to 8" long, some will actually be 4.5"- 5" and some will be 9" maybe 9.5" with a few 10" long from that same 'hatch' or population and the majority 6"-8". It is very likely the 10" walleye J.Calvin is catching are some of the 5"-6" stockers that have doubled in size after two years which is actually pretty good growth for male walleye that may never grow much over 20"- 22" long in the pond habitat. Recruit - to increase the number of - replentish - to get or produce new ones - gain in number. WOW - you guys have blown my mind! With as huge of a growth in my new pond as all the fish have shown me, the comments on the 10" walleye possibly being one of the original stocking of fish is something I never thought possible. Heck, even the shiners I stocked are 11" long and fat that I catch at times. Like I said, I had never heard the term 'recruiting' in its context used here. Thanks for the info. No Sir - just the original 25...now minus two as we had some nice walleye sandwiches this past Winter!! Bill, your typing error that states that males glowing slowest made me laugh out loud. Of ALL the females I've ever been involved with NOT One has ever said I've glowed. Thank goodness !! Some members have had great success from ladder stocking species like hybrid striped bass and walleye, fish that traditionally do not successfully recruit in ponds. Stock a given number each year, or biannually, to keep a varied population in your body of water. Something I think you should consider. When those 25, now 23, fish are all harvested, you're back to square one and starting over. Occasionally stocking different year classes keeps a population of a given species the semblance of natural recruitment. I have not re-stocked any more fish since the original stocking two years ago. As Omaha suggests, I plan on laddering next year with more walleye and perhaps some more yellow perch (larger sized). With the rapid growth of all the fish in the pond, including the predators which have really gone wild, I am trying to pull out all the big channel cats I can, all the bass 13" and under, and take the keeper walleye. All these predators are whomping on the fry and new hatches. Trying to keep a healthy and large bluegill population (red ears, bluegills, and hybrids.) Continually adding cover for the little guys. Goal is to keep my bluegills big, fat, and numerous, and keep a decent population of big bass. I feed heavily with Aquamax 500 and aerate. So far this is working well but it may not sustain. That's OK, I'll adjust as required. We are having a blast fishing year 'round. Well done Jimmy! I'm truly impressed and you should be proud! And that state record YP...it goes without saying, I'm 10000% stoked for you! Get that measurement next time! 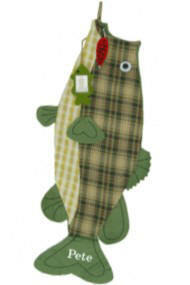 You guys are having great success with walleye stockings!!! I'm giving fish stockings out before Christmas this year! Who in the heck is Pete, anyhow? Fishnet stockings? With the line runs up the back?